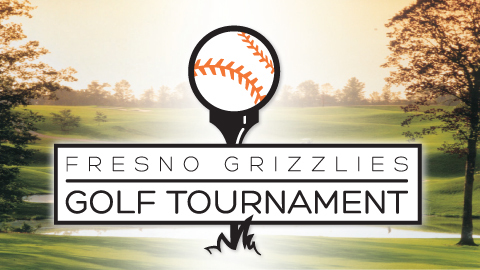 FRESNO, Calif. - The Fresno Grizzlies will host their inaugural golf outing on Wednesday, June 6th and is scheduled to be played at Copper River Country Club. The event, presented by Crown Jewels Produce and the Fresno Grizzlies Community Fund (GCF), will benefit the Fresno Community Food Bank and the GCF. Grizzlies fans will enjoy a round of golf with friends, co-workers, and business associates while supporting two local non-profit organizations. The field is limited to 144 golfers or 36 teams of four members. Participants in the outing will also have the opportunity to golf alongside Fresno Grizzlies players and coaches at the event. There are a limited number of players and coaches participating, however, so it is recommended golfers register for the event early, as groups will be formed on a first come, first serve basis. In addition to the 18 holes of golf, registration also includes lunch before the tournament, a bucket of range balls, free beverages provided at holes 3, 6, 9, 12, and 15, a post-tournament mixer with drinks and hors d'oeuvres, team photo, and sponsored giveaway items. Additional sponsorship opportunities are available, such as tee box sponsor, green sponsor, longest drive, closest to the pin, and much more. To register or seek more information, please contact Director of Corporate Sales Jerry James or Account Executive Chris Curry of the Fresno Grizzlies front office or by calling 559.320.HITS.